The wine merchants of Bordeaux and the rising entrepreneurs of China would seem to have little in common—Old Europe versus New China, tradition versus disruption, loyalty versus efficiency. And yet these two communities have found their destinies intertwined in the conquest of new markets, as Suzanne Mustacich shows in this provocative account of how China is reshaping the French wine business and how Bordeaux is making its mark on China. Thirsty Dragon lays bare the untold story of how an influx of Chinese money rescued France's most venerable wine region from economic collapse, and how the result was a series of misunderstandings and crises that threatened the delicate infrastructure of Bordeaux's insular wine trade. The Bordelais and the Chinese do business according to different and often incompatible sets of rules, and Mustacich uncovers the competing agendas and little-known actors who are transforming the economics and culture of Bordeaux, even as its wines are finding new markets—and ever higher prices—in Shanghai, Beijing, and Hong Kong, with Hong Kong and London traders playing a pivotal role. 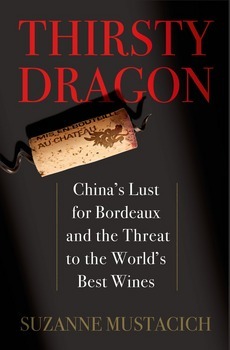 At once a tale of business skullduggery and fierce cultural clashes, adventure, and ambition, Thirsty Dragon offers a behind-the-scenes look at the challenges facing the world's most famous and prestigious wines. 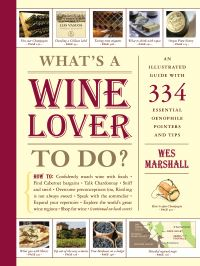 Suzanne Mustacich is a contributing editor at Wine Spectator. She was previously a Bordeaux correspondent for Agence France Presse, a columnist for the Chinese magazine Wine Life, a contributor to Wine Business International, and a television producer for NBC News and several production companies. She holds a bachelor's degree from Yale University and an enology diploma from the University of Bordeaux. She lives in Bordeaux with her family.